Stephen Hillenburg, the creator of SpongeBob Squarepants, died at the age of 57. Last year he was diagnosed with ALS and suffered from it until he lost his battle on Nov. 26. Hillenburg was born on Aug. 21, 1961, in Lawton, Oklahoma, but was raised in Anaheim, California. When Hillenburg was a child, he became fascinated with oceans. That fascination soon became a career interest. He began his career in 1984, educating students on Marine Biology at Orange County Marine Institute. He wrote a comic book titled The Intertidal Zone, which he used to teach his students. 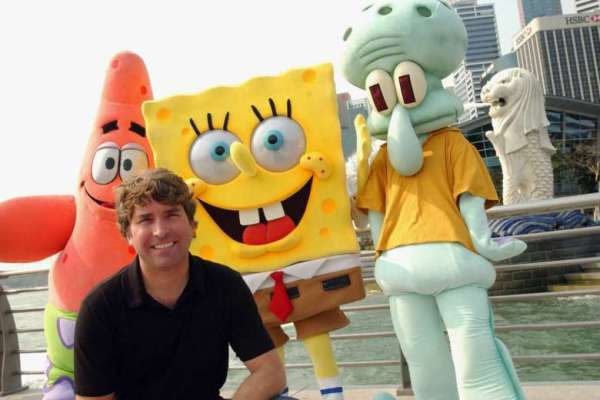 In 1989, Hillenburg decided to pursue animation. He enrolled at the California Institute of Arts and was offered a job at Nickelodeon to help work on the television series, Rocko’s Modern Life. From 1993 to 1996, Hillenburg was successful with his developments of short films and in 1994 he began to develop the characters in The Intertidal Zone. He also started working on the concept for SpongeBob SquarePants. SpongeBob aired in 1999 and has stayed on since then. In 2004 he also directed The SpongeBob SquarePants Movie. The movie was intended to be the series finale, but Nickelodeon wanted to make more episodes, so Hillenburg stepped down as director. Hillenburg made a powerful impact in many lives through his shows and through himself. Butch Hartman, the creator of The Fairly OddParents and Danny Phantom, described him as an immensely talented creator. Hillenburg will be deeply missed by his cast, colleagues, and his family.